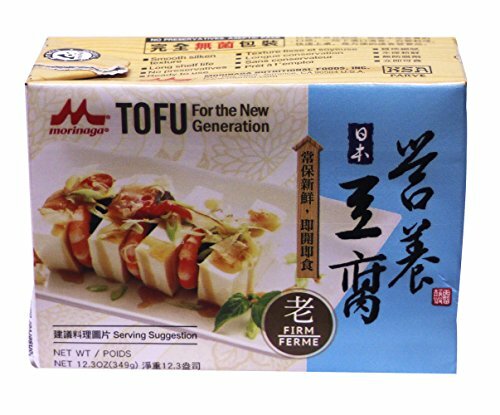 营养豆腐 Tofu 12.3 oz - Firm （Pack of 12） by Morinaga at Smokey Robinson Foods. Hurry! Limited time offer. Offer valid only while supplies last. Tetra pak revolutionary package locks out light, oxygen and microorganisms which lead to spoilage. Guaranteed quality. Always tastes freshly made. Tetra pak revolutionary package locks out light, oxygen and microorganisms which lead to spoilage. Guaranteed quality. Always tastes freshly made. Low-fat, cholesterol-free vegetable protein containing important soy isoflavones - genistein and daidzein. No preservatives. No irradiation. Refrigeration not required until opened.